Are you someone who has said “I want to make a difference in the lives of others internationally” or “I am passionate about global sustainability and development” – then this study abroad opportunity is for you. If you want to translate your classroom teachings into real world application, then join us for Maymester Ghana. This three (3) week opportunity will allow students to see how complex the world of international development is as it relates to eradicating poverty and helping communities become sustainable. We will look at how concepts such as Social Enterprise and Micro-Finance are widening the opportunities to invest in developing countries, and how the work of International Nonprofit agencies (NGOs) are on the ground improving the lives of individuals. It is the interplay of these efforts, along with government regulations, that impact the success of these “do good” efforts in countries like Ghana. The program is open to undergraduate and graduate students from Georgia State University and other universities and colleges. Program size is limited to 15 students and participation is contingent upon acceptance by the Program Director. Students must be in good academic standing at their university. *International students at Georgia State who hold F-1 visas must contact the Office of International Students and Scholar Services at 404-413-2070 to discuss possible implications of study abroad for their immigration status. Students will register for 3 credits of Independent Study/Directed Reading. If students are majors from outside of the Andrew Young School, they will be required to register for PMAP 4901 (undergraduate) or PMAP 8911(graduate). This course provides the opportunity for students to focus attention on a specific area of interest. It may not be used to substitute for a course that is offered on a regular basis. Because the directed reading course is student focused, based on their academic major/area of intellectual pursuit, all class assignments will allow the student to tailor their writings and reflections through the lense of their interest areas. Students from other institutions should follow their institution’s regulations concerning transfer credits. The program cost is tentatively set at $4,500, PLUS regular Georgia State University tuition and fees. Non-resident/out-of-state students will pay in-state tuition plus a $250 fee in addition to the program cost. Program cost may vary at any time according to currency fluctuations and changing travel arrangements. Financial aid is available to help fund this study abroad program. Students are highly encouraged to apply for the Georgia State University International Education Fee (IEF) Study Abroad Scholarship Program. For more information on this and other scholarship opportunities, please view the study abroad scholarships main page or contact Study Abroad Programs, Office of International Affairs, 404-413-2529. 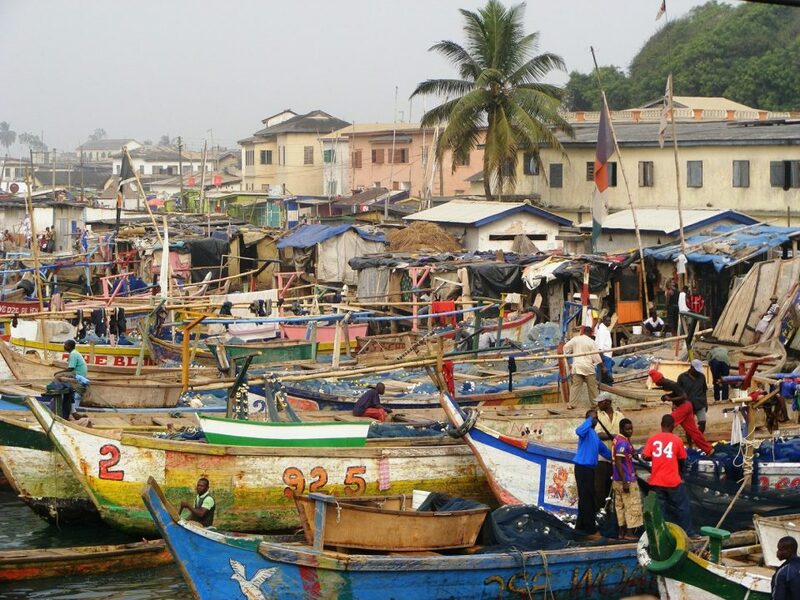 Travel to Accra, Ghana and participate in locally led lectures on the topics of the history of Ghana, role of nonprofits/social enterprise in Ghana’s development, and numerous site visits to local agencies working in these areas. Tourist visits include Aburi Botanical Gardens, Rural/Private Forest Reserve, and a day at the local beach. Students shift to staying in local family homestays, and lectures and site visits to agencies focus on the role of the World Bank and International Monetary Fund on Ghana, opportunities and challenges of conducting business in Ghana, and the role of privatization and the State in Ghana’s development. We will also meet with a Village Chief and complete a community service project. Tourist visits include touring Elmina Castle and visiting Cape Coast, as well as Kakum National Park. Lectures and site visits will focus on challenges and opportunities of Micro-Financing, education, and culture. Visits include an international school, art galleries, visits to various small towns/rural villages, and African Drumming & Dance Farewell dinner. Students interested in applying should find this program’s listing and begin an online application. Because program size is limited, early application is strongly advised. Individual interviews may be scheduled with students upon receipt of application. Please include a letter of recommendation from an instructor familiar with your recent work with your application.